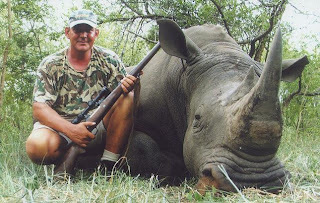 You are absolutely right about the knee-jerk response to the sanctioned rhino hunting. Using whales as a comparison for the programs success is not entirely accurate though. Some whales are doing extremely well. The minke whale has over a million. The blue whale not so well. The blue whale was nearly extinct 50 years ago, now it has a population close to that of rhinos. The program you support works great, but the near worldwide ban on whale hunting has also been a success.